With higher standard ceiling heights, it is now becoming difficult to reach the very top of glass shower doors and enclosures. The Extendable Squeegee allows for the perfect cleaning experience and ensures you won't miss a spot! 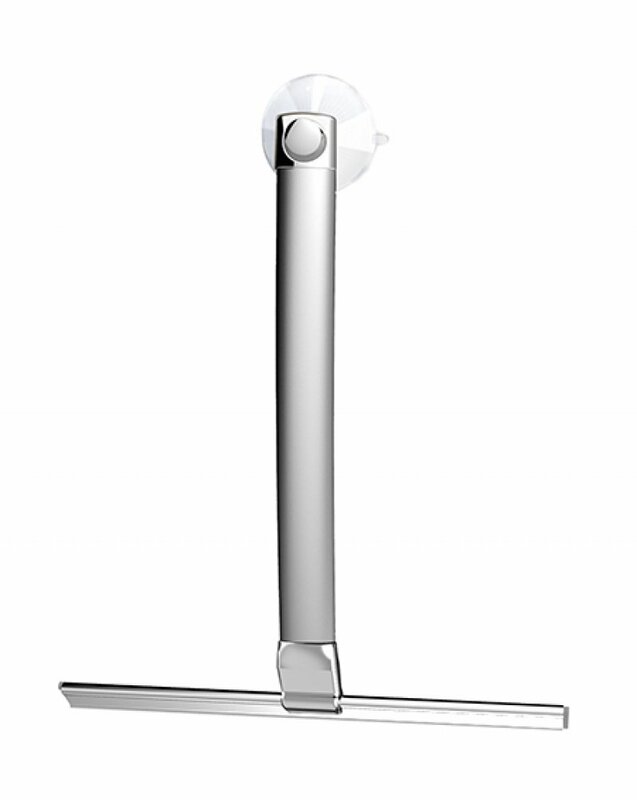 The Extendable Squeegee is crafted of light-weight, rust proof aluminum. The ergonomically curved handle extends the squeegee to 45cm. Even with the squeegee not extended, it is the longest shower squeegee on the market, at 30cm. Having this squeegee in your shower will ensure that you will never miss a spot! 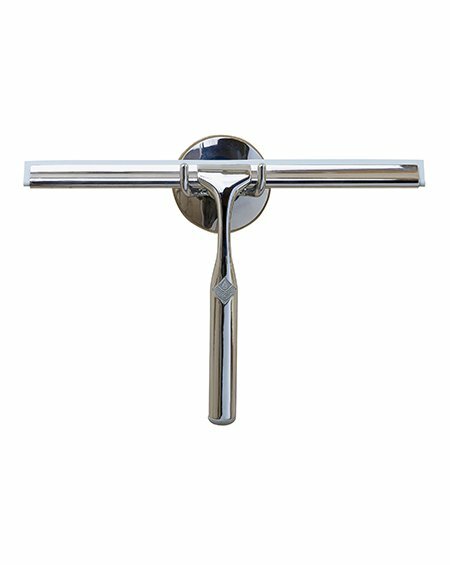 The Extendable Squeegee has the same metal reinforced rubber blade holder as used in industrial applications for years and includes an easy-hook handle design with suction for quick in-shower storage. The Extendable Squeegee is perfect for eliminating water spots and soap film from glass, mirror, tile and marble surfaces. The high quality, genuine rubber blade leaves surfaces streak-free!